One of the most fascinating facets of the history of South Florida is the story of the inhabitation of the exclusive, legendary little island of Palm Beach. This renowned playground of the wealthy and celebrities has become home to both the famous as well as the infamous and who better suited to provide a “charming chat” covering old and new history of this exclusive society, Verna Shore is the answer. Verna Shore has often said that “Palm Beach isn’t a place, it’s an attitude”. 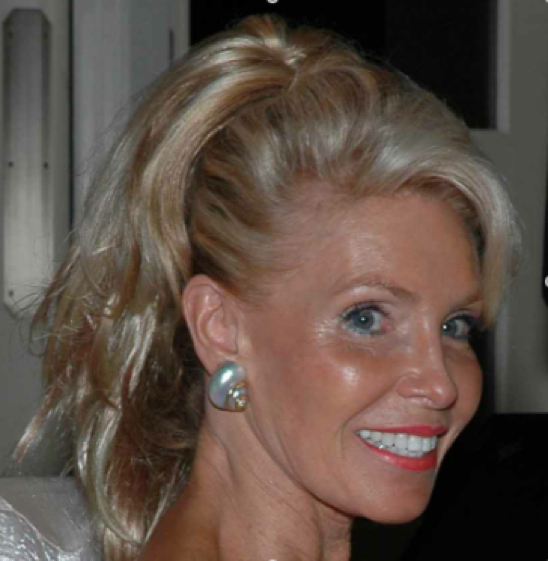 Who would be more able to define America’s seat of aristocracy, then a long-time resident of Palm Beach County, a former model and chairperson for many of the fundraisers in Palm Beach County, who hob-knobs with the movers and shakers of the community in the course of her daily routine. No flibbertigibbet, but a successful working gal who operates her own business from an affluent little town just south of Palm Beach - Boca Raton. Because her company provides gorgeous mansions and estates to the fashion photo industry, Verna needs to be aware of who’s moving when and where, and who has just acquired another spectacular mansion and why it was acquired. The “why” often can be the most interesting, and it’s not found in guidebooks, the Chamber of Commerce or the Library. Verna doesn’t necessarily lecture; she simply tells it like it is. She’s fun to listen to and educational at the same time. She knows Palm Beach, as well as she knows the palm on her hand. She’s a font of knowledge in its history and in the personalities that are accredited for building this original American Rivera. And, she knows what went on last week and no doubt, what will be going on next week. Verna’s in-depth knowledge can be fully customized and integrated into any program being offered to your Clients. Be it true history or privileged current gossip, Verna can address and entertain on both or just a specific era. For an afternoon of fun with facts and chitchat, spend some quality time with Verna. Her fascinating talk is always followed by enthusiastic questions from the audience. And she will certainly extend her time to answer all her audience’s queries to an hour or more. When you are in Palm Beach, to have missed Verna over brunch or a luncheon would certainly allow you to see Palm Beach but not to understand its “attitude”!